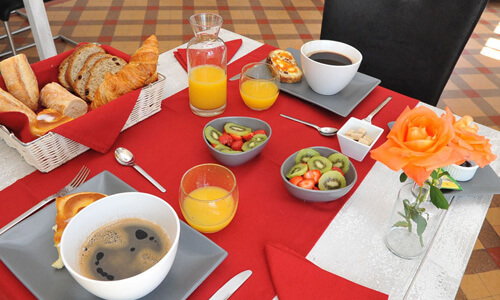 2015's Rates - "La Maison du Moulin des Roches"
Family Suite - Room with a 160 x 200 bed, balcony with panoramic view and bathroom with bathtub and private toilet. 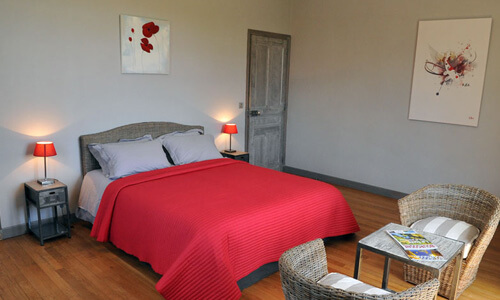 Interconnecting with a room with two beds 90 x 190. Maximum four people. Family Suite - Room with a 160 x 200 bed, balcony with panoramic view. Bathroom and private toilets. Interconnecting with bedroom with three beds 90 X 190. Maximum five people. 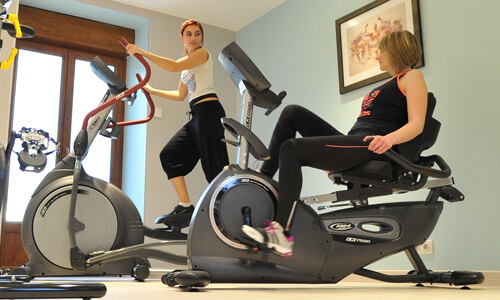 Rates per night, including our gourmet breakfast and a free access to our Keep Fit room with cardio-training machines. Free unlimited access to Wi-Fi onsite. At your disposal, free of charge: cot for children up to 2 years, baby bath, changing table and bottle warmer. The Tourist tax is 1 EUR per person and per night. > Hammam: 1 Hour includes access to the Hammam area, multi-jet shower and tea lounge at 30EUR per person. 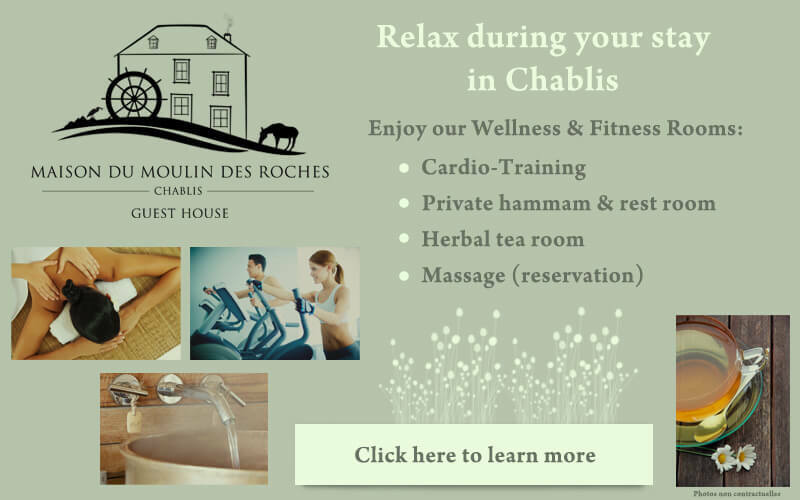 > « Relaxation and Well-Being » Massage: Two professionals masseurs can enhance the effects of Hammam: Details on request. By reservation only. > River Fishing Activity: Equipment and bait on request. 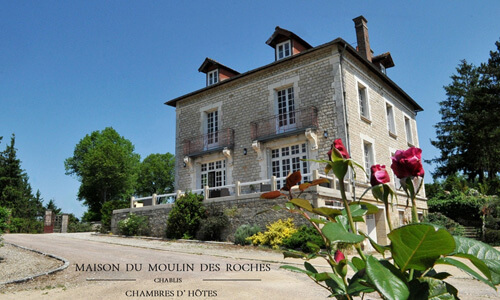 If you wish, you can block-book "La Maison du Moulin des Roches" for a weekend with friends, family or for a professional seminar. Contact us to set up a programme and a quote that meets your expectations.